Could the US get paid parental leave? President Trump’s 2018 budget proposal includes a provision for paid parental leave. The proposal, which would cost an estimated $19 billion over the next decade, would provide new mothers, fathers, and adoptive parents with six weeks paid leave to allow time to recover from childbirth and bond with a new child. Under the plan, states would have discretion to determine program funding and to tailor programs to meet the needs of their unique workforce and economy. The International Labour Organization (ILO), an agency of the United Nations, recommends that new mothers receive 14 weeks of leave, paid at a rate of at least two-thirds of previous earnings, and a guaranteed right to return to the same or an equivalent position. The United States is one of only two countries, out of 185 surveyed by the ILO, that does not provide any statutory paid parental leave. The United States provides only limited non-paid parental protections. The Family Medical Leave Act (FMLA) requires employers with 50 or more employees, to provide a minimum of 12 weeks of unpaid leave for the birth or adoption of a child, guarantees continued health insurance benefits to the extent ordinarily provided by the employer, and ensures that the employee may return to the same or an equivalent position. The Pregnancy Discrimination Act prohibits employers from treating female employees differently because of pregnancy, childbirth, or related medical conditions. The Americans with Disabilities Act, Title VII of the Civil Rights Act, and the Uniformed Services and Reemployment Rights Act may provide additional protections. Some states have enacted parental leave laws and established programs which provide coverage beyond FMLA minimum requirements. 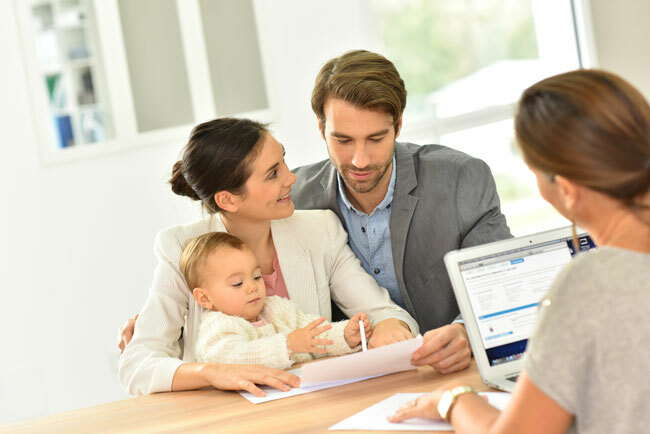 California’s Family Rights Act and Paid Family Leave Act, for example, provide temporary disability insurance to eligible employees for up to six weeks. In Indiana, public employers and teachers are protected by special administrative rules, while private employers are not legally required to provide paid parental leave. However, a growing number of private employers are voluntarily electing to offer paid parental leave, and for good reason. Research shows that paid leave not only increases employee retention, productivity, and morale; but also benefits the economy; fosters gender equity; improves a child’s brain and social development; reduces infant mortality rates; and reduces costs to employers. If you would like to meet with one of our labor and employment lawyers to discuss your needs, please click here. We look forward to helping you create a parental leave policy that will address your concerns and accomplish your goals.